We build one boat at a time, custom built for you. 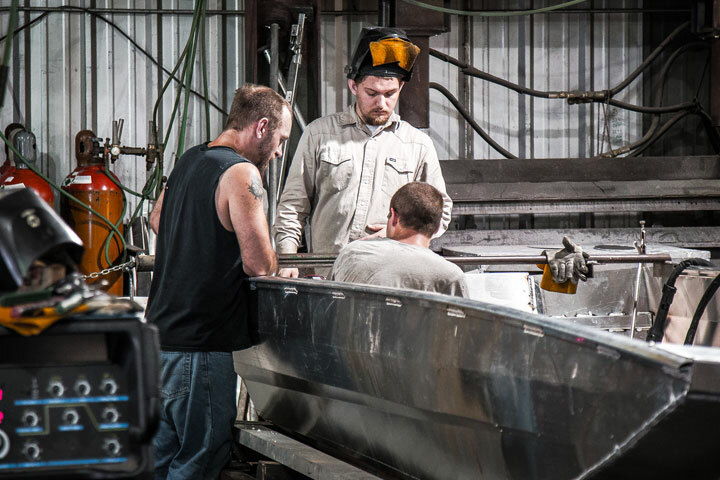 We’re dedicated to building a boat the way it should be done. We have a passion for what we do, and it shows in every Legendcraft boat we create. Featuring all aluminum welded hulls, for maximum durability. We use thick high quality aluminum designed to last a lifetime. All of our .080 gauge hulls are constructed with 5052 grade aluminum, which is one of the toughest grades of aluminum on the market. Attention to detail is important in a boat that’s designed to give you exceptional durability, handling, performance and a smooth ride. It means we get even the smallest part of your boat right, even the hidden parts you can’t see. There are no gaps, no flooring hiding flaws, and every step is performed by a master craftsman. This transforms into a rock solid built boat that is designed to last a lifetime. We guarantee a ride in a Legendcraft will feel solid and be able to handle……. rough treatment. From stem to stern, every inch of a Legendcraft is custom built tough. 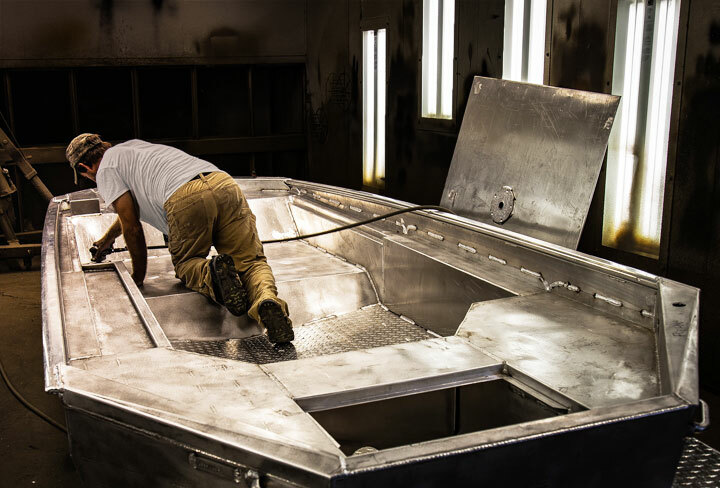 Our hulls are all aluminum welded – hull seams, bulkheads, ribs, transom and gunnels are joined to create one solid unit that provides exceptional strength while providing a water tight fit that can withstand the harshest environment. Every boat we make is constructed with five longitudinal ribs to give the boat added strength when navigating stumpy water. 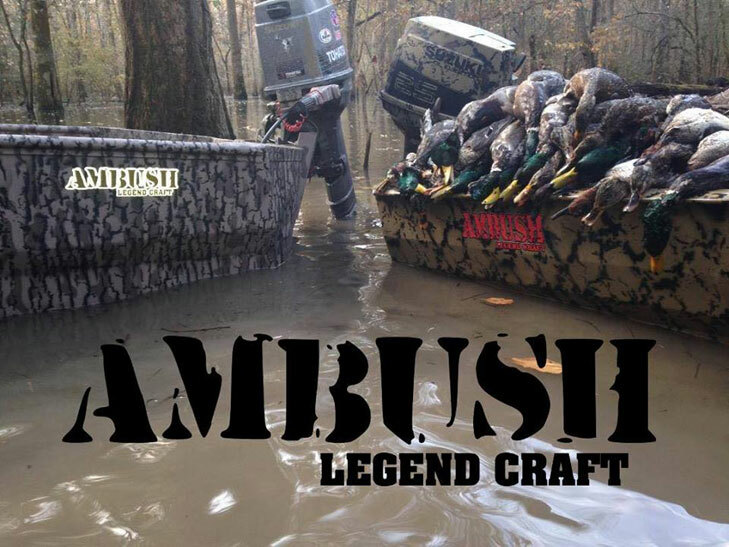 We also guarantee you’ll never find wood or a rivet on a Legendcraft boat. A good fit and finish means quality in the industry. Every part is hand crafted to ensure all components fit together like they were made for each other. Smooth and consistent, straight and flush, with a tight fit. Your accessories are custom made to fit your boat. 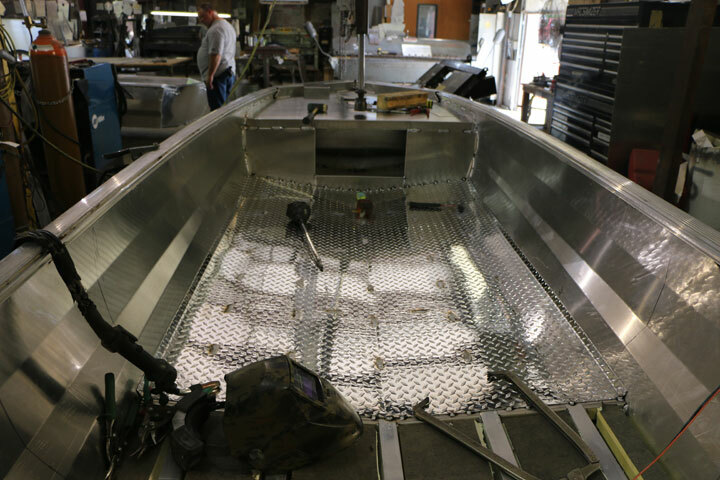 This means items like the seats, gun boxes, rails or live wells are custom built for your specific boat. 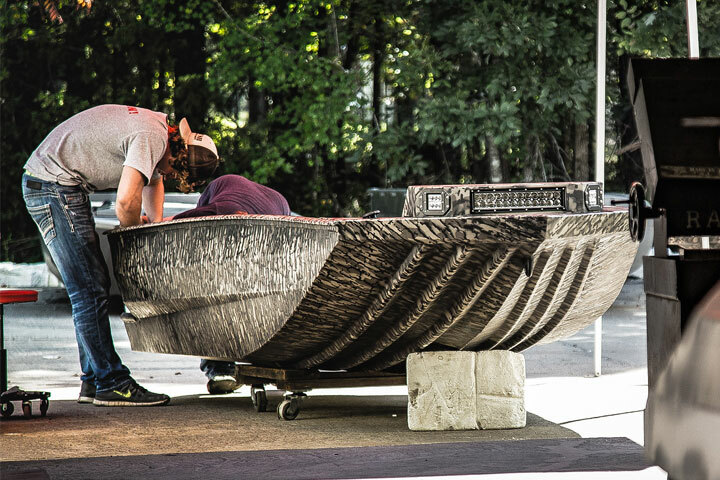 We feel each boat we build is a work of art. 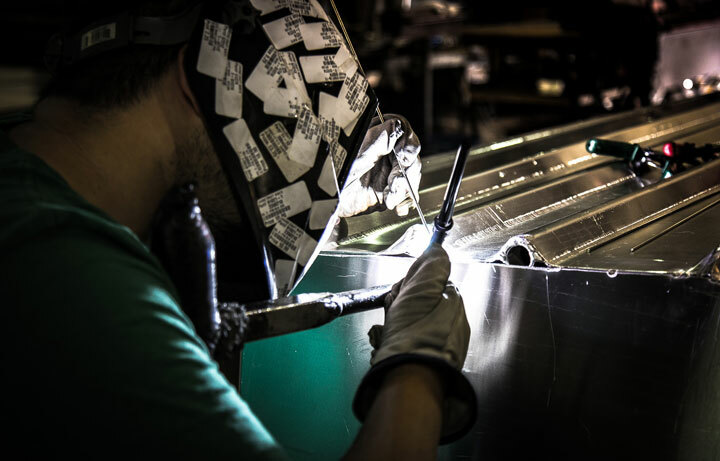 Quality welds are extremely important in building a boat. Hand welding by a master craftsman ensures the metal is joined properly to create one fluid piece for strength and durability. Making sure the boat is welded properly also means that it can take additional stress and torque without a problem. 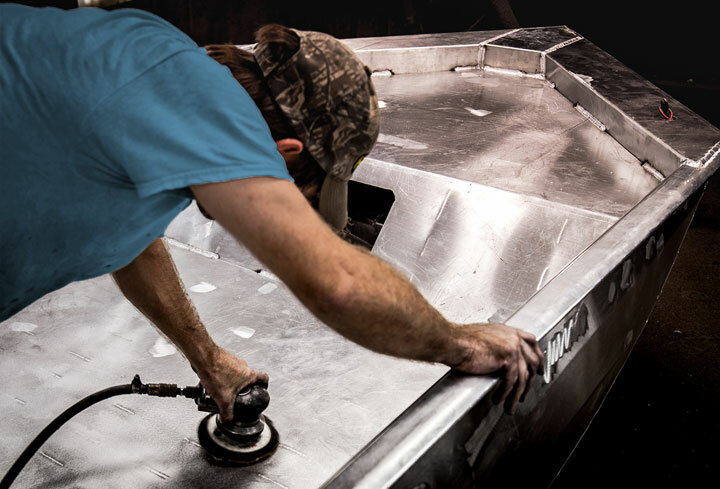 Compare our welds to any other boat, and you’ll will see why Legendcraft has earned the reputation of being one of the toughest boats. While our Legendcraft building process is impressive for a variety of reasons, one of the most important is our quality control. Each step in the process is quality inspected by the next department. Each one of our craftsmen thoroughly inspects the previous department’s work before starting the next step. This insures every inch of your boat has been checked multiple times to insure every boat meets our strict standards of quality. There is also a lot of pride in our team, you have to be good to work at Legendcraft because we are extremely proud of every boat we build. On a boat that’s built to endure brutal environments and last a lifetime, you need a paint that is just as durable. 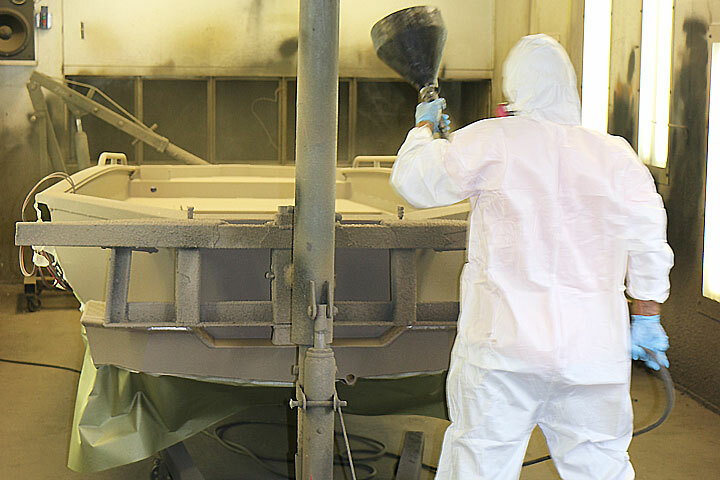 We use waterborne paint because it requires less clear coat due to its smoother application. This means even with multiple applications of color for our more camouflage styles of paint, you will still get an extremely smooth finish. Waterborne paint also results in a cleaner and brighter color than a solvent based paint. We use electrostatic painting process which means we create a magnetic field to apply the paint. By giving the boat hull a negative charge and the paint a positive charge, the boat attracts the paint like a magnet to the metal surface. The result is a durable, smooth hard paint finish that is plated on and resists corrosion. The final steps include connecting all the wires, navigation lights, bilge pumps and testing each system thoroughly to be sure every switch functions properly before it’s shipped to the dealer. Once again hand crafted means, human inspection instead of relying on factory machines to do the testing. A boat never leaves our facility without being fully tested and receive a final inspection. Our reputation speaks for itself. We know that a great boat is important, but we also know that great customer service is just as important. Our customer’s rave about the customer service at Legendcraft. Don’t take our word for it, just read some of the reviews from existing Legendcraft boat owners. 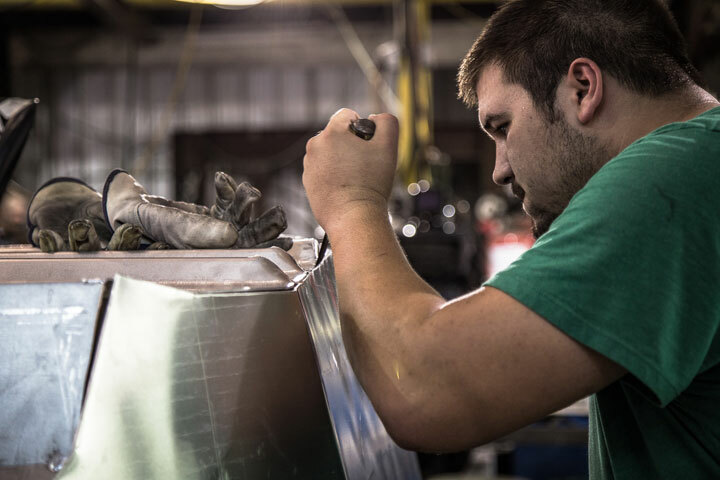 We are passionate about what we do and stand behind every boat we build. Learn more about our company, and who is behind the Legendcraft name, click here.